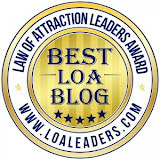 If you are interested in LOA coaching with me, just send me an email. What is Coaching with Kathleen? I support you in the basics of Law of Attraction. Defining what you want, why you want it, and how you want to feel. (Your goal or desire). Then sharing processes and tools to get into vibrational alignment with it. Such as scripting, visualization, being it now, feeling it real, etc. If you are new to Law of Attraction coaching and would love to give it a whirl, today is your lucky day. You are ready to get clear on what you want. You are ready to set goals and priorities. You are ready to clear your blocks and shift your energy. You are ready to receive! This 3 Session Introductory Package is a great way to experience coaching for the first time and is an amazing value! Limit 1 Introductory package per person. You already LOVE being supported and assisted in achieving your goals and making your dreams come true. You LOVE shifting your energy and moving up the vibrational scale. You LOVE manifesting your desires. You can invest in as many sessions as you desire. How do we meet and for how long? Coaching is done over the telephone or by Skype. I have coached clients in Australia, Canada, New Zealand, England, and the US, so it doesn't matter where you live. Each coaching session lasts from 30 to 60 minutes and are usually scheduled weekly or biweekly. Each session is about you and whatever works best for you. Sessions are currently only offered in English.